Maverick Hillbilly, Billy Payne country music artiste, began his love for country music in the year 2000. It continues right up to the present day. He was born in West Virginia USA. Everyone connects with Billy’s music as his life is like so many others. He only sings what others are feeling or living. Here we have a Country Outlaw Music singer who has been justly rewarded for his work in music. His first album “No Limit On Love” gained him popularity. This started with an Airplay International Award with the first single also named “No Limit On Love”. In April 2006 he arrived on the Country Club Music Charts in Europe at #4 with “Blue Skies, Mountain Air & Clear Water” from that album. He was interviewed by Allegheny Mountain Radio in Holland for “The Billy Payne Story” which aired in Holland, Germany and London. It was also aired in West Virginia, Virginia and Kentucky in May 2006 and the story continues with Country Music People Magazine 2016, 2017 in the UK. This song was additionally a Top Ten single on The Independent Country Charts in 2000 along with his second Top Ten single “Nadine” in 2002. In 2003 he reached number 27 on the ’50 Top Independent Country Artists of The World’ chart. He received airplay and reviews from all over the world for his second release, “Back To The Simple Life”. Canada, Europe, Spain, New Zealand and Australia have all played his songs. 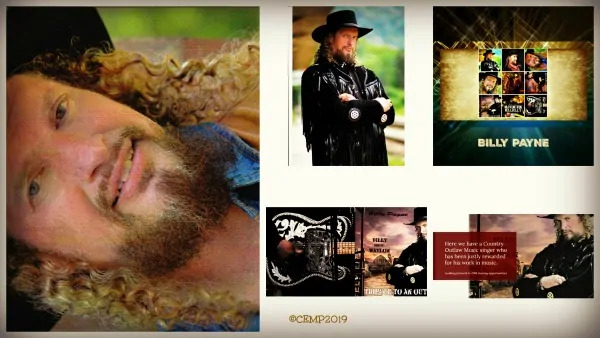 Being able to perform and record with The Waylors, now known as Waymore’s Outlaws, has been a big step in the right direction for Maverick Hillbilly Billy Payne country singer. His honky-tonk style of singing and performing fits like a glove because of the music Billy listened to as he was growing up. When these men take to the stage there is an incredible magic that takes place. These are men who are Billy’s heroes and his respect for them shows. 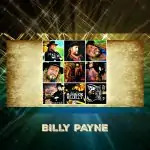 You can tell by listening to songs from the cd “Country Till I Die” that it is definitely a true statement and perfect for the title of Billy Payne’s project. This cd has songs co-written by Billy the Maverick Hillbilly and produced by Jerry Bridges. “Country Till I Die” and “Spirit Of An Outlaw” have now received excellent reviews from Canada and the United Kingdom. His cd “Genuine Leather” is country music at it’s best!! It was recorded with other members of the Waylors – Carter Robertson, Jeff Hale, Jerry “Jigger” Bridges and Reggie Young of (The Highwaymen band and Waymore’s Blues Band). Leon Russell’s piano man Kevin Madill. Bridges is in the producer seat along with Nashville A-Z artist engineer, the one and only Billy Sherrill. Maverick Hillbilly released in July 2017, again with The Waylors – Barny Robertson, Carter Robertson, Jerry “Jigger” Bridges, Fred Newell and Richie Albright. Payne recently travelled to Ireland to appear on the Phil Mack country show. He is anticipating a return visit to the UK in 2019! Recommended a country music venue in your area for the UK tour. Contact us if you’d like to book this country music singer.